The solar industry’s realistic approach to the total solar eclipse further confirms that even though wind and solar power are increasingly important elements of the energy portfolio, they are intermittent energy sources cannot thrive without the baseload power provided by at-the-ready fossil fuels. However, this does not mean that natural gas impedes renewable growth, or that the natural gas and renewable industries cannot thrive and work together. Evidence actually points to the opposite. And because of this complementary relationship, consumers across America’s energy grid are unlikely to experience issues next Monday when the sun will be totally eclipsed by the moon. The cooperation between the natural gas and renewable energy industries doesn’t end there. In addition to natural gas providing a reliable backup fuel source for the wind and solar industries, the construction and operation of these facilities are more similar than most people would think. 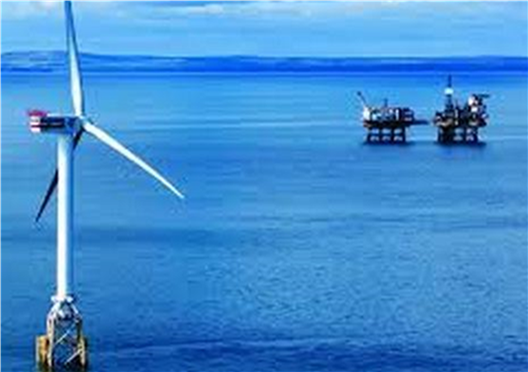 This was in evidence last week at the Offshore Wind Executive Summit (OWES) in Houston, Texas. In addition to being the largest producer of oil and gas in America, Texas also produces more wind energy than most countries, and in terms of sheer quantity dominates U.S. renewable production. But that’s not what drew conference attendees to Houston. For oil and gas supply chain companies able to diversify, the wind industry is similar enough to provide a fairly easy transition for working in both industries. Despite the rhetoric of McKibben and Stanford professor Marc Jacobson — whose 2013 study outlining a “roadmap” for transitioning to 100 percent renewable energy was recently criticized by a group of 21 independent experts for being deeply flawed and infeasible — pragmatic renewable advocates and experts have repeatedly confirmed the reality is that natural gas is an essential backup to intermittent solar and wind energy. That’s why the United States’ continued global leadership in producing all forms of energy is vital. From the increased use of natural gas and renewables in power generation that continue to slash carbon emissions, to the incredible growth in LNG and oil exports and the U.S. manufacturing sector thanks to the abundance of shale oil and gas, Americans prove that when it comes to energy, it is not an either/or scenario. As preparations for the coming total solar eclipse illustrate, traditional fuel sources continue to be complementary and necessary to a growing and increasingly important renewables industry. This is just one of the many reasons that activists’ calls to ban fracking are reckless and unfeasible.